In the last decade of the 15th century, a middle-aged private tutor named Aldus Manutius made the stunning decision to leave the comfortable employ of a noble family and enter the cutthroat world of printing. The implications of that career change reverberate to this day throughout the worlds of textual criticism, book design, typography, book production, copyright law, collecting and classical philology. Whether by accident or design, Aldus’s decision put him in the right place at the right time to apply the relatively new technology of printing with movable type to the difficult task of printing Greek. As a result, virtually the entire surviving Greek canon found its way into print for the first time, and therefore into posterity. Free and open to the public, this illustrated presentation explores the lasting legacy of the Aldine Press, and describes the significant contributions Aldus made to the preservation of Western Civilization. RSVP requested. G. Scott Clemons has collected the Aldine Press since his days as an undergraduate in the Classics Department at Princeton University. He currently serves as the President of the Grolier Club, Treasurer of the Bibliographical Society of America, and is a past Chairman of the Friends of the Princeton University Library. Outside of his bibliophilic interests, Scott is the Chief Investment Strategist of Brown Brothers Harriman & Co., a privately-owned investment firm in New York City. 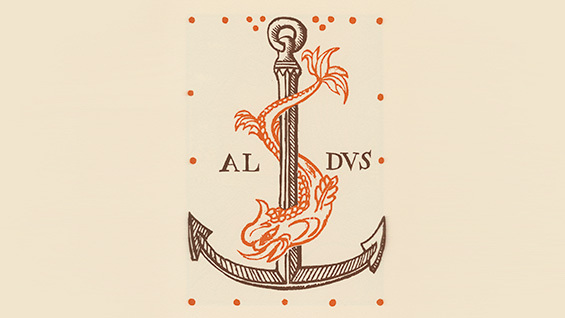 Scott curated the exhibition Aldus Manutius: A Legacy More Lasting Than Bronze, on display at the Grolier Club this past spring, and is the co-author of a companion volume to the exhibition, soon to be available from Oak Knoll Books.